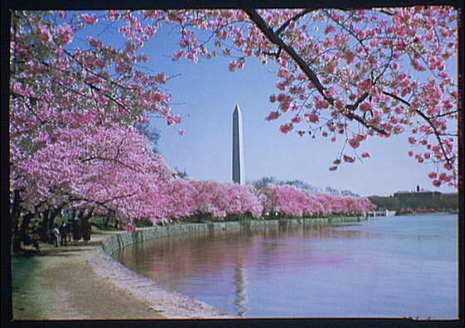 On March 27, 1912, First Lady Helen Herron Taft and the Viscountess Chinda, wife of the Japanese ambassador, planted two Yoshino cherry trees on the northern bank of the Potomac River Tidal Basin in Washington, D.C. The event celebrated the Japanese government's gift of 3,000 trees to the United States. Trees were planted along the Potomac Tidal Basin near the site of the future Jefferson Memorial, in East Potomac Park, and on the White House grounds. The text of First Lady Taft's letter, along with the story of the cherry trees, is available from the National Park Service's official Cherry Blossom Festival Web site. From the opening screen, scroll down to the paragraph beginning, "The history of the cherry trees." The planting of cherry trees along the Potomac fulfilled travel writer and photographer Eliza Ruhamah Scidmore's long and determined quest. Returning from her first trip to Japan in 1885, Scidmore advanced the idea of bringing the trees to the District of Columbia with U.S. government officials. She was ignored. In 1909, Scidmore decided to raise money for the purchase of the trees herself. 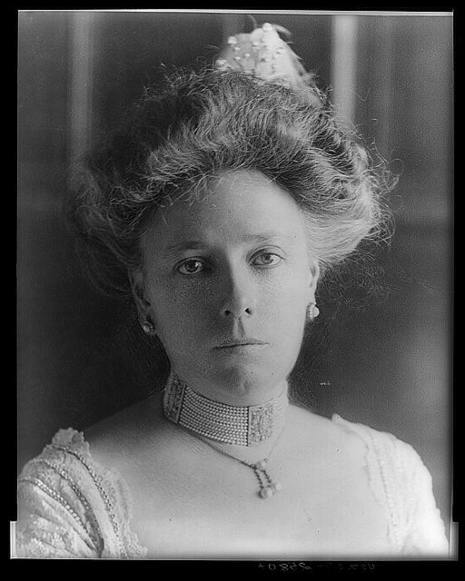 She wrote of her plans to the new First Lady, Helen Herron Taft, and received an enthusiastic response. "I have taken the matter up," the First Lady wrote Mrs. Scidmore, "and am promised the trees." Upon learning of the First Lady's plans, the Japanese consul in New York broached the idea of making a gift of the trees to the U.S. government.